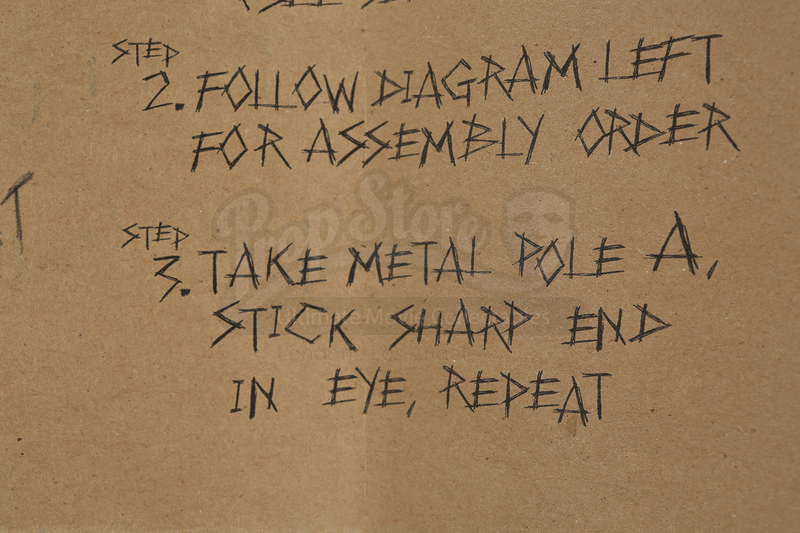 The Grinch's (Jim Carrey) easy to follow instructions made for Ron Howard's How the Grinch Stole Christmas. 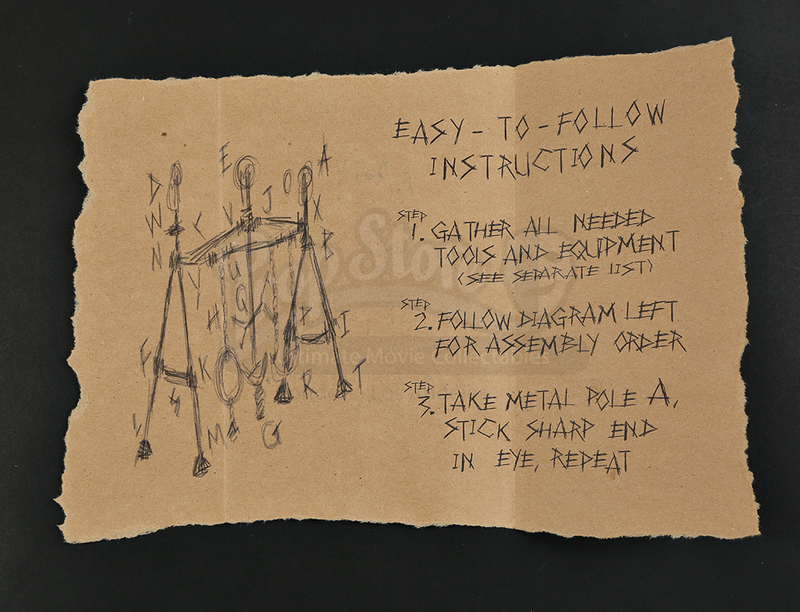 These instructions were likely created for a deleted scene in which Lou Lou (Bill Irwin) attempts to build a swing set for Cindy Lou (Taylor Momsen). 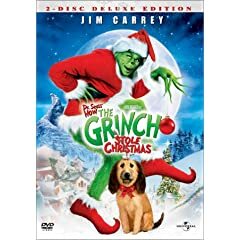 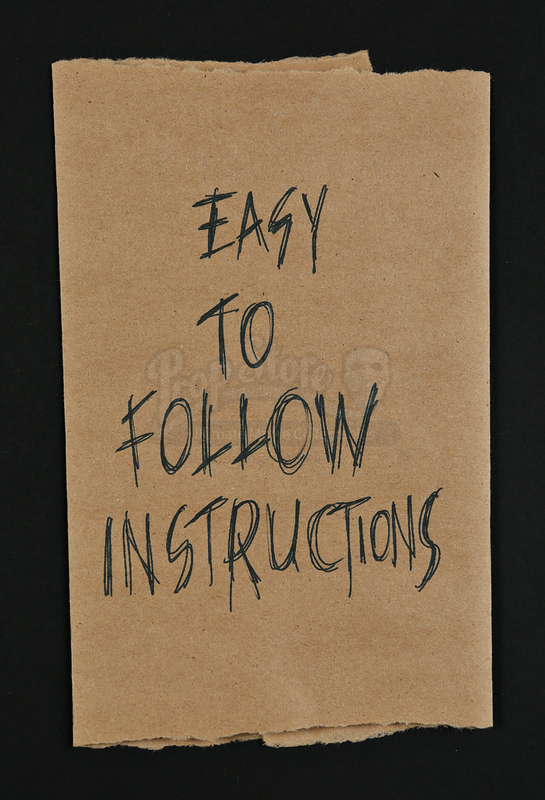 The Grinch switches the instructions with this complicated version as a prank. 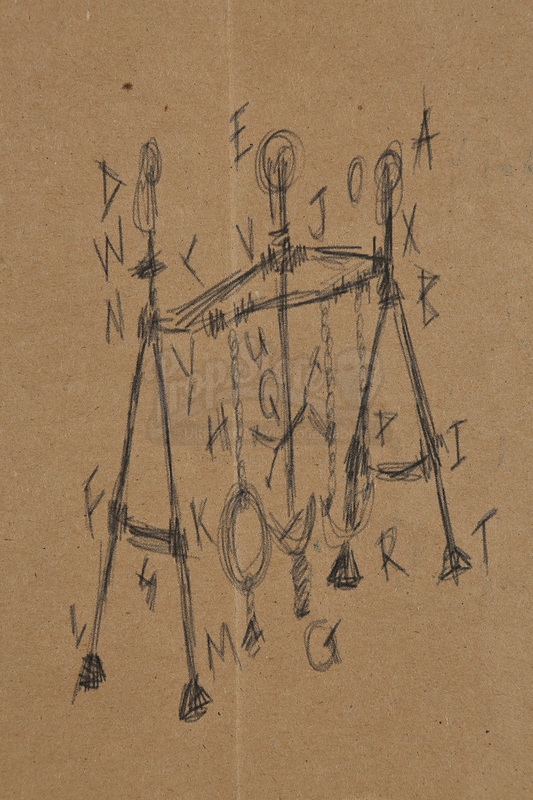 This piece is printed on dark brown parchment and is made to look hand-drawn. 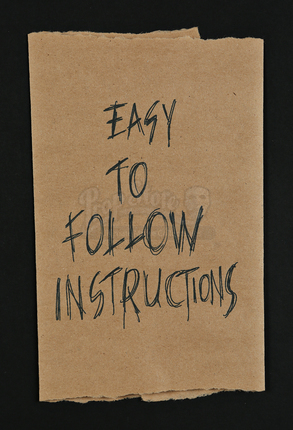 Folded in thirds, the piece features the Grinch's handwriting and a very crudely drawn diagram. 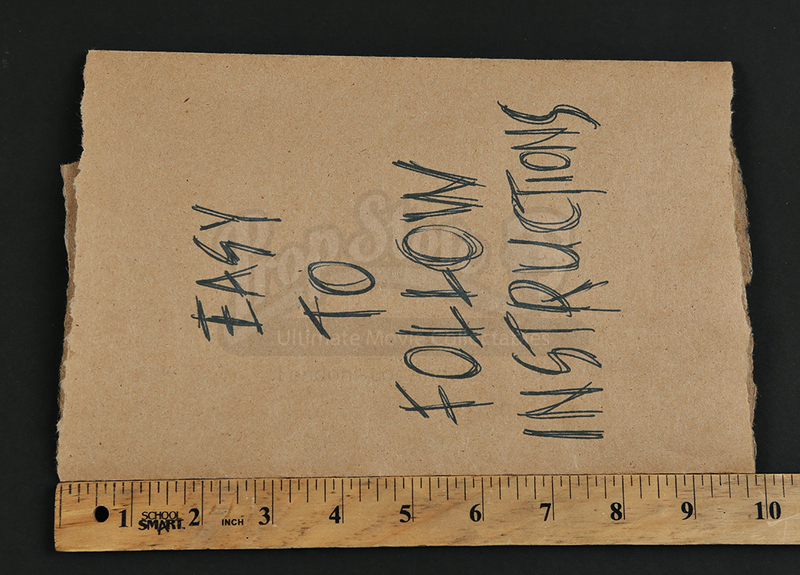 Showing minimal signs of wear, this piece is in excellent condition.